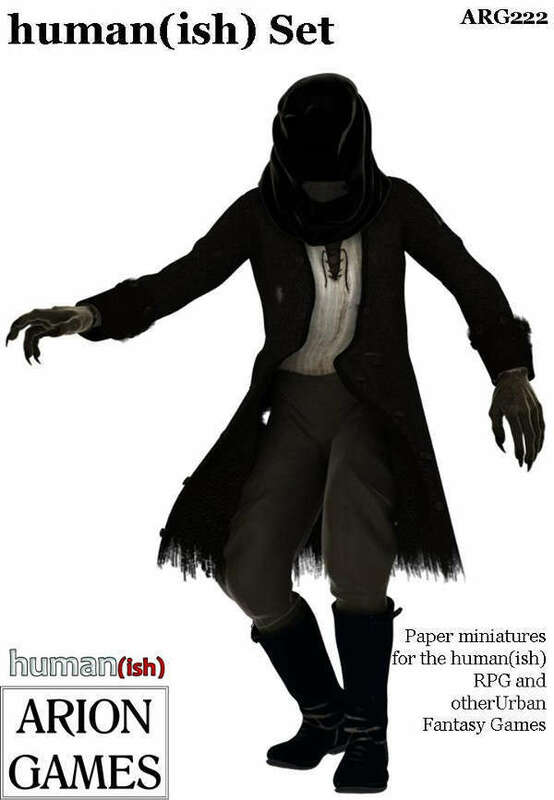 We have just released our latest Paper Miniature set, based on our own human(ish) RPG (http://www.rpgnow.com/product/156434/humanish). This fast to learn and easy to play game allows Vampire, Werewolf, Ghost (and five other supernatural types) as PC's and is based on the classic FASERIP system. Now, with these specific paper miniatures, you have further options to expand your game. This set contains two of each of the playable supernatural types, plus most of the supernatural enemies presented in the rulebook. I hope that (finally) making paper minis for YOUR games and adventures will prove a success!